Why the Reliance on Court Reporters in Spite of Technology? In these days, when everything can be recorded and retrieved at a later time, you wonder why courts are still dependent on court reporters. There is video and audio recording and other technology that can be used instead. What are the advantages that human court reporters have over technology? Why do courts still reach out to top court reporters when they could simply flick a switch and get the session recorded for posterity? Isn't every other industry opting for technology? 1. A human is more accurate in this circumstance than an electronic system. “Are you kidding me? !” I hear you ask in consternation. You see, a human can distinguish between sounds that need to be left out of a recording and those that should be included. A machine will record everything, including someone in the audience sneezing. The electronic system will latch onto that and try to translate it. A human court report will ignore that because it is not applicable to the proceedings. A top court reporter has the advantage of speed and accuracy. If you are working with one such, you do not need automation. The best court reporters can go head to head with the most effective systems, but they have one up on the techno reporter. As mentioned earlier, the human reporter knows what sounds to leave out whereas the electronic system does not. In addition, a live human reporter with an effective software recording system will be able to deliver the complete work promptly. The software transmits the translated information to the judges, counsel and jurors in seconds, making it possible for them to make crucial decisions live. 3. Automation and other technology are expensive. Installing automated systems is an expensive venture. This is especially because the systems will be needed in other facilities aside from the courtroom. The recordings of the depositions will be required in the conference rooms, boardrooms and other facilities. A human court reporter can move wherever they are needed or provide copies. 4. The human court reporter can provide written transcripts. This the court reporter can do fast. Transcribing from automated systems can take weeks, which could be very expensive for the legal process in the long run. A court reporter will deliver the written documentation accurately and when needed. When you consider all the factors, technology in this particular industry does not give you value for your investment. 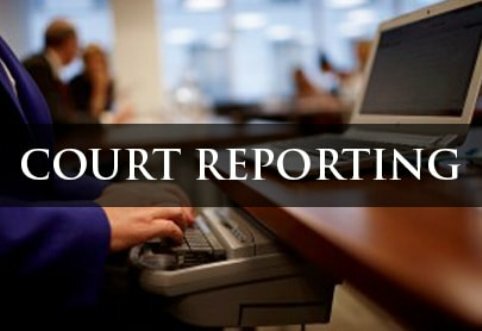 The cost of hiring a court reporter is by far less than purchasing and installing electronic systems for recording proceedings. The equipment will need maintenance and repair. Then there are delays sometimes caused by malfunctioning aside from the others already mentioned. Besides, a human will still be needed to transcribe content from the electronic systems. Well, here’s an industry where the machines are not about to take over! It is interesting that when so many other sectors are embracing automation to make their work and productivity better, the legal systems still consider top court reporters irreplaceable and will not rush for electronic devices to record court proceedings.